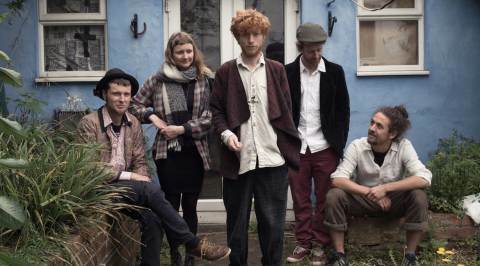 Young Waters are a neo-folk band from the Bristol area. I must admit "neo-folk" is a term that didnt mean much to me, and looking it up left me little more enlightened, so here's my take on it - it's folk, but certainly not your traditional folk music, instead there's something slightly strange and experimental about the sound. It's folk but not as you know it. I have to say that while there's a strong folk core to the music, it's the strange differences that make this stand out from the crowd, and at the same time make it such compelling listening. Check out the first song to be released, "Swimming pool".. The vocals are beautiful and the musicianship is excellent. It's an album that I wasnt sure about on first listen but the more I listen the more I love it. Definitely well worth checking out.